tax deductible free will offerings from individuals. Read on below to make a decision. Make sure you give your tithe to your local church and support us out of your free-will offerings. Individuals can make tax Deductible Gifts are made through Presbyterian Reformed Ministries International (PRMI) which provides our ministry with 501c3 covering. 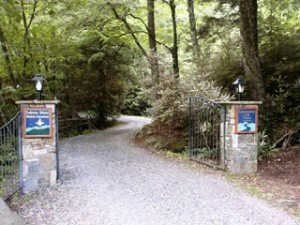 What is our connection to PRMI? PRMI is a non-profit worldwide fellowship of Christians from the Presbyterian and Reformed churches committed to spiritual renewal and to the advancement of the gospel of Jesus Christ in the gifts and power of the Holy Spirit. 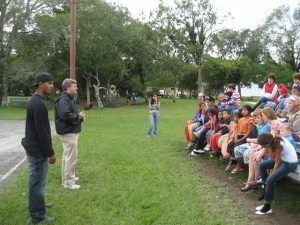 As of August 2010, I serve on their board of directors, teach in their ministry throughout the United States and Latin America. PRMI has been part of my ministry life since 1997 and is a ministry I proudly support with my own gifts. They have a global ministry of renewal and live up to the ECFA accountability standards. I have taught for them since 2000 when I became a Faculty member of the Dunamis Fellowship, and a lot of my material is used in their evangelism course. They are headquartered in Black Mountain NC. Your tax deductible donations to our work will also place you on PRMI’s mailing list for their ministry. You will need to notify me if you do not want that to happen and I can fix that. Please forward me your first online receipt so I can make sure PRMI has received it all correctly. a. Special Gift Online Via Paypal, for our general support. b. Monthly Gift Subscription via PayPal. You can setup an automatic payment to happen on the same day each month via PayPal. Select the monthly amount and then choose the Subscribe Button. If you want to do an amount other than one shown, please contact me. c. Want to use a credit/debit card by phone? Simply call the PRMI office at (828) 669-7373 and you can set that up over the telephone. Specify that your gifts are for EvangelismCoach.org. You will receive a receipt by return US Mail from PRMI. We will receive word of your gift and send you an email or letter by regular US Mail. Churches, or individuals who don’t want a tax-deduction, can give directly to us (without having to go through PRMI), since they do not need tax deductible benefit. Any gifts through this button will come to us directly and will be acknowledged by me directly. Thank you for your support. 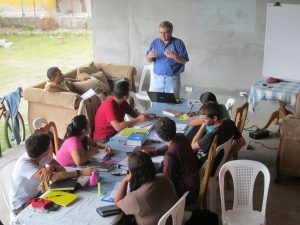 Your gifts enable our ministry to give it’s resources away in Latin America to impact churches beyond our borders.